Have you ever considered cleaning your chickens? The other day my wife was mad because our chickens were making holes in the yard and kicking up dirt. We knew this was their way to clean themselves. Chickens do not wash in water. They use dirt/dust to clean themselves. Taking a dust bath protects your chickens from lice, mites, and other parasites. You can find both young and old chickens playing in the dust. They fluff their feathers and hunker down into the dirt, working their feathers into the soil and the soil into their feathers. Free-range chickens usually have no problem finding and making their own dust bath such as in our case. City dwelling chickens however, are normally unable to find this ‘extra space’ to make a dust bath and remain vulnerable to these parasites. Building a designated area for chickens taking dust baths will save your sanity and keep your chickens clean and happy. 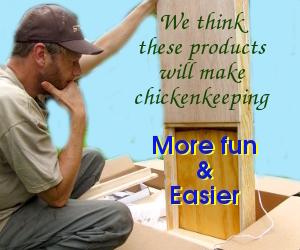 To save your chickens, eggs, and yard here is a list to get started on building a chicken dust bath of your own. Find yourself a durable/weather proof container cut to size: about 6-10inches in height and 12 X 22 inches in diameter. (Some stores sell totes that would be an acceptable size) If you do not wish to use a plastic container you can also do this many other ways. Stacking landscaping bricks in a square about 8-12 inches off the ground is also an effective way to accomplish a dust bath while still keeping the attractive look of your back yard. If you are not worried about looks, you can make a chicken dust bath by using an old car tire etc. Fill your container with sandy dirt leaving 2-3 inches of the container unfilled. (This keeps the dirt from ending up everywhere.) Also keep in mind, they may kick some of the dirt out while they indulge themselves in a dirt bath, so keep it away from the nesting and feeding area. You can also add products to your chicken dust baths such as “Barrier Louse Powder” This will protect them from mites, fleas, ticks, etc. “Diatom” Is another great product to use and no harm if ingested since it will work as a wormer as well. Do not add water to your chicken dust bath. The “Girls” like it dry and dusty! Now that you have built your chickens a dust bath there is nothing more to do than sit back to watch the girls wallow in it.